The Derby and Oaks races at Epsom will start 30 minutes later this year at 16:30 BST in an attempt to improve TV viewing figures. Just 1.5 million people tuned in for Channel 4's coverage of the 2014 race, down from 3.3m for the BBC's final broadcast in 2012. Television bosses believe the later time will reach a wider audience. 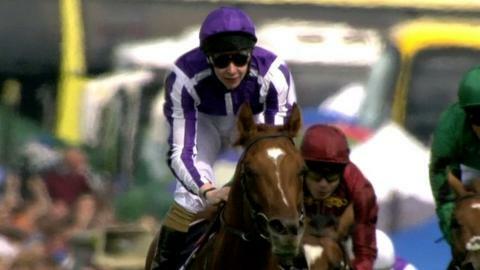 Fillies' Classic the Oaks is being staged on Friday, 5 June with the Derby 24 hours later. They will remain the fifth contests on seven-race cards, which will begin 25 minutes later at 14:00 on both days. Epsom boss Rupert Trevelyan said: "We believe that from an attendance perspective, in particular for our sponsor and hospitality guests, this adjustment to our timings will enhance the overall enjoyment of their day. "At this stage this is the extent of our changes to race times but we will review following the 2015 Investec Derby Festival." Ed Havard, Channel 4's Head of TV Events and Sport, said: "We welcome the later start times for the Oaks and Derby, which will enable these blue-riband events to be accessible to the widest afternoon audience possible."